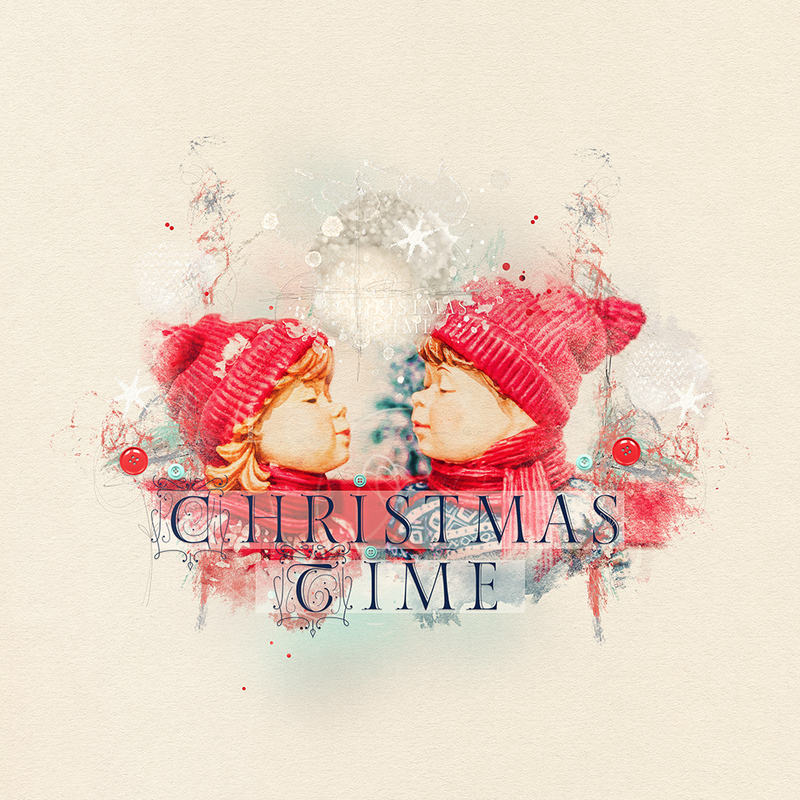 Marianne here to show you my layout using NBK Design’s Christmastime-Wintertale Collection. 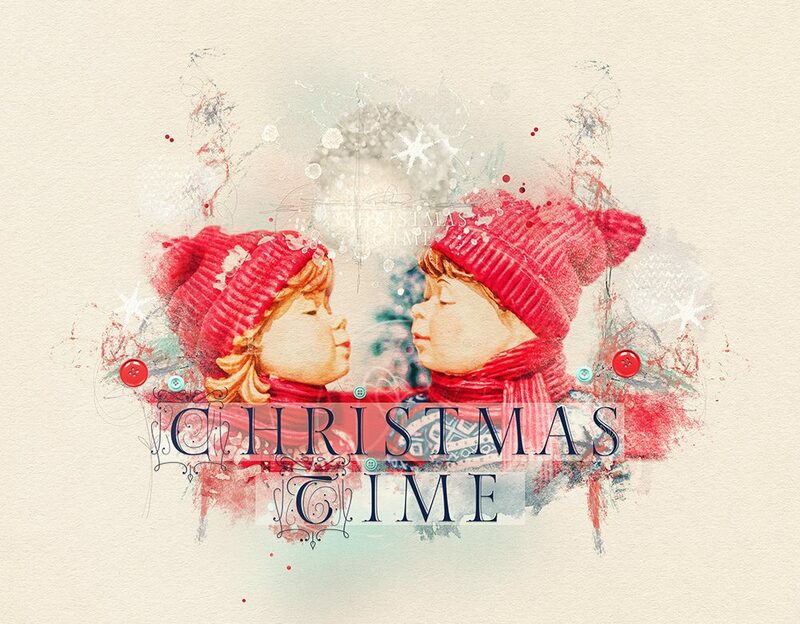 As soon as I saw this photo from these children (Christmas decoration), I knew I had to make a vintage themed christmas layout with it! And I found the perfect Collection for it in the Christmastime-Wintertale Collection. I did some filterwork on the photo and enhanced the colors a bit! I loved to play with the elements from this wonderful Collection.